Dr. John Gottman became famous through a study on newly married couples, which was on the base of his algorithm of prediction about divorce, with an accuracy of 90%. He and his team had revolutionized the study of couple relationships through a longitudinal research during over 30 years. They have interviewed couples coming from their honeymoon, to whom they have measured the patterns of interaction and have determined specific algorithms of interaction between them. These data have been used later in the measurement of the difference between happy couples and those of whom relationship ended through divorce. The approach became popular because it is pragmatic, based on scientific measurements and focused on the positive side of the interaction between the two of them. After 35 years of relationship research, Dr. John &Julie Gottman developed a method based on strategies that bond the feelings of friendship and intimacy; they found specific protocols to manage conflicts and make common projects of life. What to Expect from the Gottman Method Assessment Process? We make a very detailed evaluation to have a clear image about the couple relationship, with its strengths and weaknesses that generated the need of therapy, but also a diagnose of some possible individual blocks. 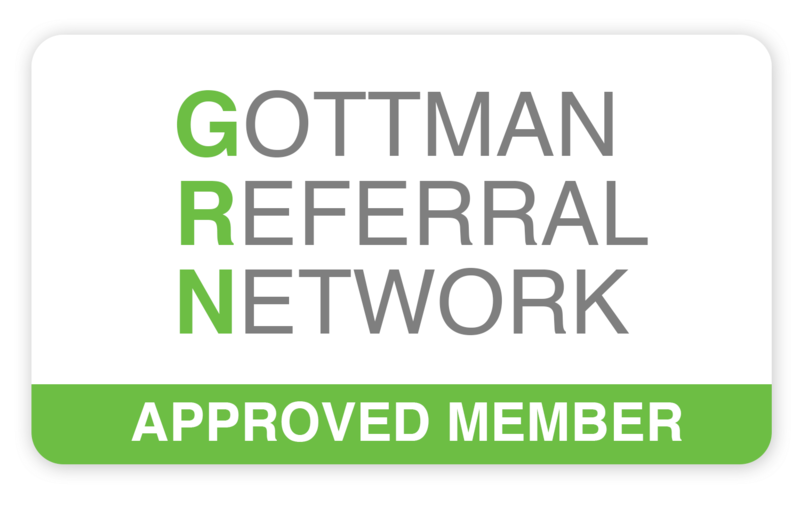 The Gottman Approach Assessment is composed of 3 sessions which take approximately 4 hours total, plus the review of a set of questionnaires that each member of the couple completes. Within the first session is given the possibility to the couple to share openly the reasons that brings them to therapy, to go together through the history of their relationship and to establish the usual way the couple takes when they have to face a conflict, the way they manage with it by discussing a problem that makes the subject of a disagreement at the moment. At the end of the session, the couple will get (on-line or printed), a set of questionnaires which evaluates different aspects of individual life and the couple relationship. This is an opportunity for the psychotherapist to get to know you as a individual, to understand the premises of the interaction and the way past experiences influence your current experience of your relationship as well as your partner’s. While the speaking about yourself or about the other partner is a relatively easy thing to do in front of the psychotherapist only, in the Gottman Method couple therapy, the psychotherapist is committed not to keep secrets from your partner. In the third session, the psychotherapist shares openly the data she found out through the past sessions and the results obtained from the questionnaires responses, and each member of the couple shares how this summary compares with their own experience of the relationship. At this point, the psychotherapist is setting up the concrete objectives of the couple therapy and starts to work together on a plan that is agreeable to all. After the third session, the couple will receive a “treatment plan” and the clinical sessions of therapy will begin. What to expect in clinical sessions? The members of the couple talk directly to one another, in the presence of psychotherapist, which observes and intervene only to correct methodologically the use of effective interaction skills. Using a lot of exercises, the psychotherapist will design the couple therapy session that fits best for the specific problems she identifies during the evaluation. Thorough Gottman method, the couple will be teached how to use a respectful tone, how to create a safe atmosphere, intimacy, connection and how to get to problem-solving and happiness.